We have no litters planned for 2018.
and keep you informed as we make our breeding plans. to obtain a puppy application and to request more detailed information. Click here for photos from our 2012-2013 litters! Click here for photos from our Winter 2010/2011 Litter! 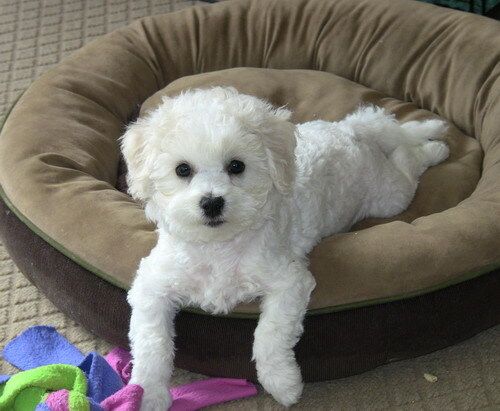 Through selective breeding and dedication, Bella offers quality Show, Performance and Companion Bichon Frise puppies. Our dogs are raised as a part of our family and each individual puppy is showered with love and attention from the moment they are born. 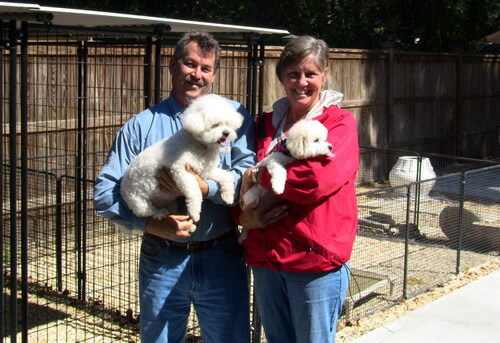 Sires and dams are screened for genetic health issues prior to being bred - our goal is to breed healthy, correct Bichon Frise with fabulous temperaments and trainability. 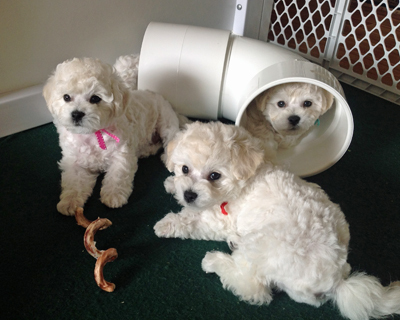 We are well versed in all things holistic when it comes to raising our puppies. We feed a homemade diet and use limited core vaccines. 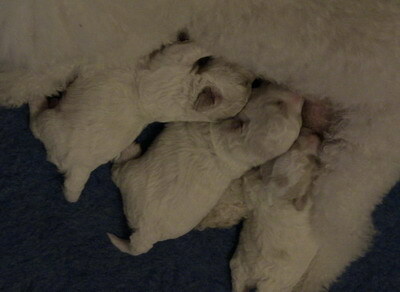 We look forward to generations of truly healthy Bella Bichons. We interview perspective homes thoroughly to ensure the right match. If at any time you are unable to keep your Bella puppy or dog, we do ask that you contact us. 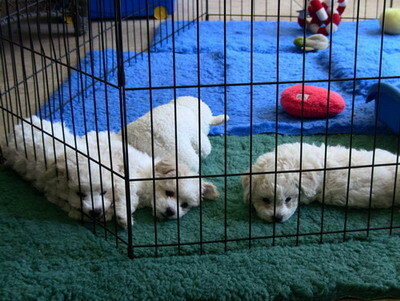 We will provide the puppy/dog with a home until a suitable home comes along. 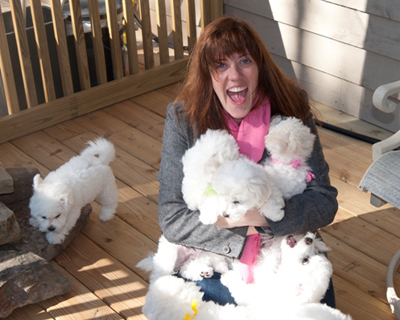 Bella offers puppy buyers experience and support even after you take your puppy home. You may always contact us with your questions and we love to receive updates and photos of dogs we have bred! Our puppies are typically reserved well in advance. Please contact us for information on upcoming litters and our waiting list. A happy, healthy Bella puppy!